Yahsat 1B is the second Satellite of Al Yah Satellite Communications’ new Generation Satellite Constellation. The 1.66-Billion US$ Constellation started with Yahsat 1A launched by an Ariane 5 ECA Vehicle from French Guiana in 2011. 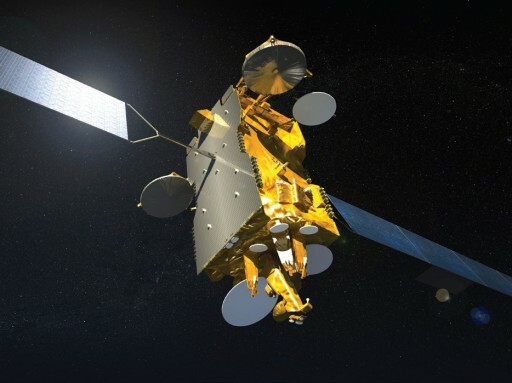 The Satellite was developed and tested by Astrium and Thales Alenia Space. 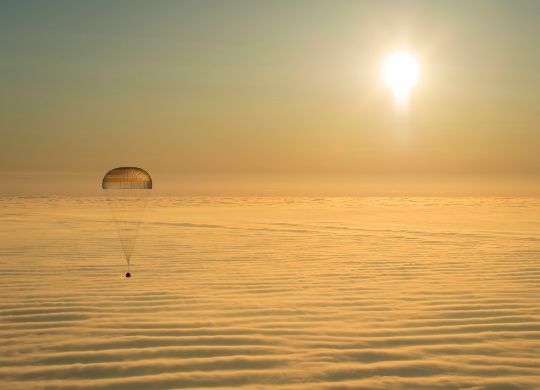 The Spacecraft is based on the flight-proven Eurostar E3000 Platform and has a liftoff mass of 5,965 Kilograms. Yahsat 1B is outfitted with 25 Commercial Ka-Band Transponders operating at 110MHz and 21 Secure Transponders for Military and Government Purposes. Ka-Band multi-spot beam technology is being utilized on the Satellite providing 61 narrow spot beams. The Spacecraft is equipped with two solar arrays providing 15 Kilowatts of power for the payload. Yahsat 1B will operate from an Orbital Position of 50.5 Degrees East in Geostationary Orbit. The Satellite will provide communication services for public and private users in the Middle East, Africa and Southwest Asia. Television as well as high-speed Internet services will be provided by the satellite constellation. Both Satellites will be operating in orbit for at least 15 years. After being delivered to Geostationary Transfer Orbit by the Briz-M Upper Stage, the Spacecraft will use its own propulsion system to maneuver to Geostationary Orbit at its desired Position. After a short period of on-orbit commissioning and testing, the Satellite will start operations and the YahSat Constellation will be complete.